Gallium melting in a hand, 2 of 5. 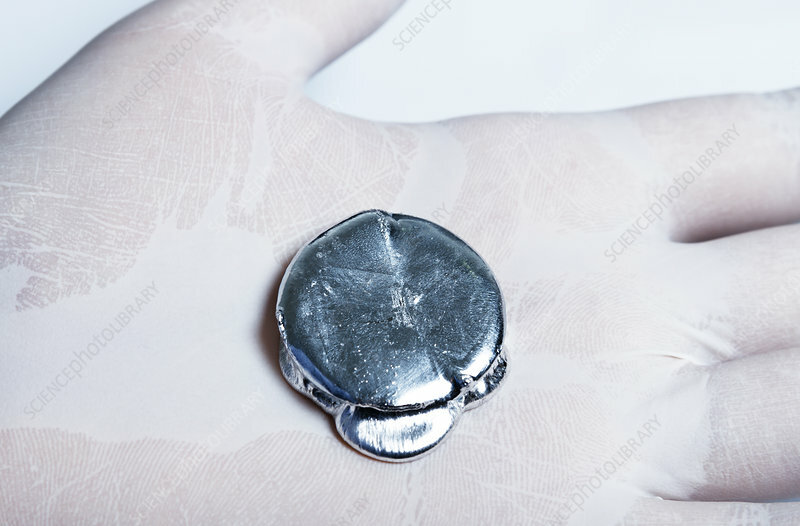 Elemental gallium (Ga) has a melting point of 29.76 C. Here solid gallium ingot is placed in the palm of a gloved hand. Body heat leads to melting of the ingot.